For all Your Fencing Needs. 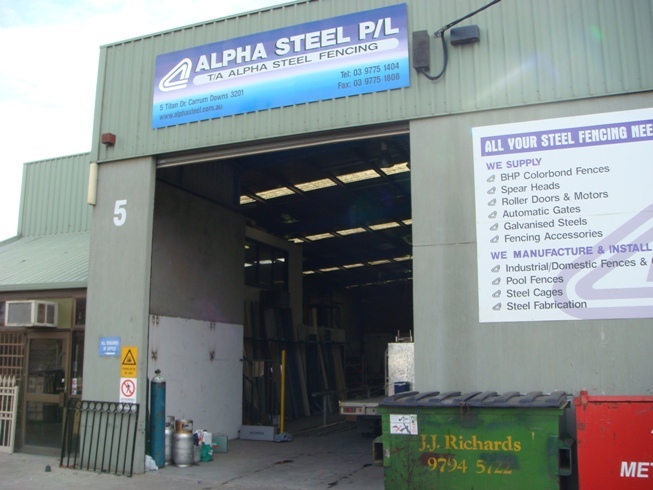 The Alpha Steel difference - "Good people, better services, best prices"
Alpha Steel P/L provides the largest range of quality steel panels and gates at unbeatable prices. 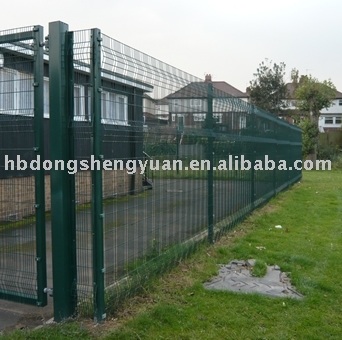 We have fencing solution for all budgets and requirements and we guarantee to beat any genuine written quote. 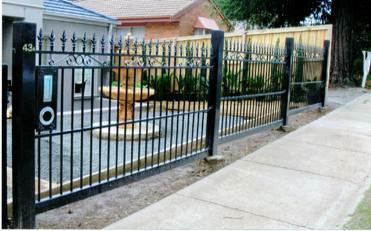 Secure your property night and day with the strength of a Steel security fence. Call our sell team today for a free consultation and expert advices. There is no job too big or too small and we can arrange everything. 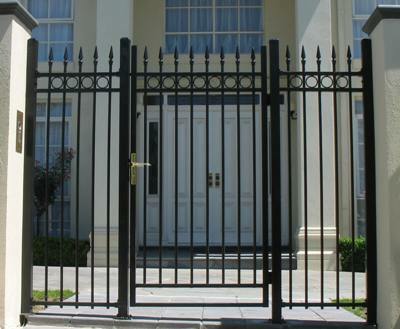 Our fences and gates are sure to add appeal, value and safety to your home or workplace. 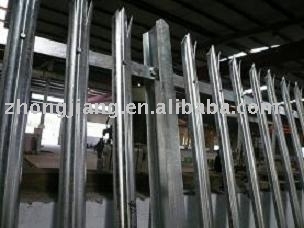 We have everything you need in steel fencing. 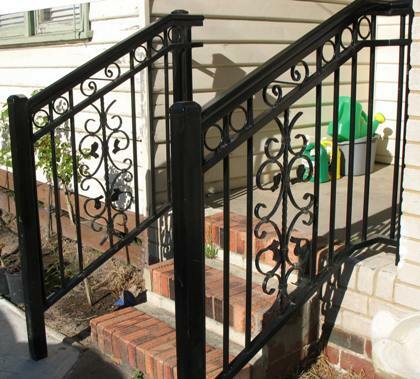 We have complete DIY packages with a wide selection of fence fittings and accessories along with easy to follow installation manuals .Our selection of galvanized steel RHS and COLORBOND® fence panel can help you design your own unique fences, gates or anything you need. We can do all types of steel fabrications from small shop fittings to large display fames. ADD value and security to your home with an Alpha Steel fence. Our large buying power guarentee the best prices and added values to our customers. 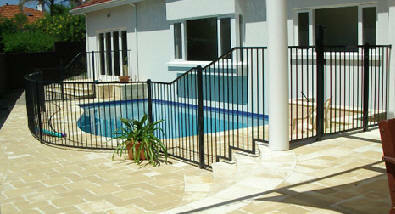 The team at Alpha Steel P/L understand that buying a new fence is generally expensive but in some cases necessary. We appreciate that fences are not only a luxury item which add values and/or to compliment any home but is essential for privacy, safety and protection. For this reason the team at Alpha Steel has pledge to help assist member in the community whom may require assistance in purchasing\repair a fence. Our commitment is simple, if you are a pensioner or is receiving government benefits i.e.. low income, disability allowances etc, we guaranty to provide you with the best price possible and if require offer a 1-6 months payment plan (condition apply). To see if you qualify for this concession please contact our office on 9775 1404. Alpha Steel P/L is proud to bring these new additions to our growing products and services. Please contact our office for supply date and prices. 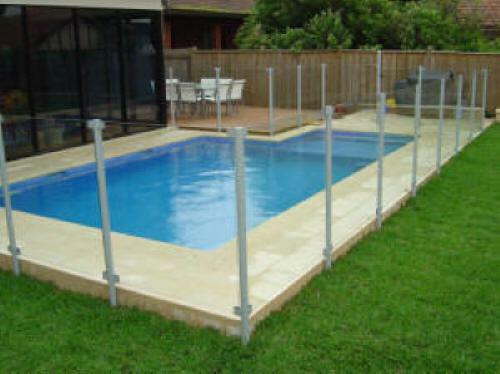 Alpha Steel P/L is a young vibrant company started in early 2003 with the commitment to providing Melbournians with quality tubular steel fencing i.e.. pool fencing, garden fences and gates etc. Over the years, the team at Alpha Steel have received many successes and recognitions. Hundreds of happy customers have helped to make us the number one choice in steel fencing in Frankston, Carrum Downs and surrounding suburbs. 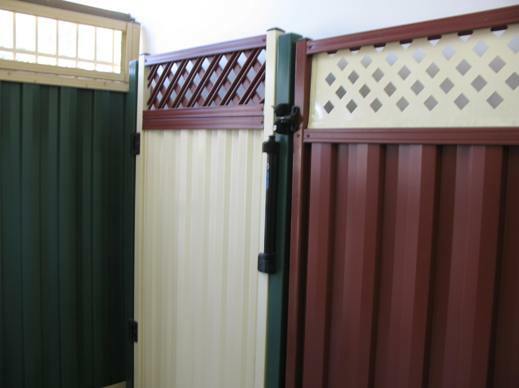 Our commitments today have expanded to retailing DIY fence panels, fence fittings and accessories, gate automations and COLORBOND® steel fence panel. We also provide general steel fabrication work and powder coating services for local businesses. We believe that our business will continue to grow through our excellent reputation for reliability and professionalism.
" A family business working for everyday families"
Alpha Steel Fencing - We Trust Only the Best for You. Alpha Steel Pty. Limited. Trading as Alpha Steel Fencing. Alpha steel web page first published in August 2008. Republish August 2009.